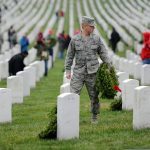 Wreaths Across America is a national initiative, and their mission: “Remember, Honor and Teach is carried out by coordinating wreath-laying ceremonies at Arlington National Cemetery, as well as at more than 1,400 additional locations in all 50 U.S. states, at sea and abroad.” (source). Local organizations such as Hero’s Bridge join in this mission each year. On December 15, 2018, Hero’s Bridge will participate, along with other organizations, in a wreath-laying ceremony at Culpeper National Cemetery. 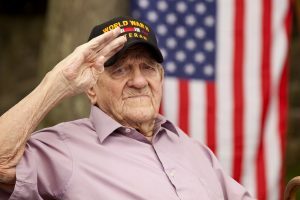 Hero’s Bridge, is a nonprofit 501 (c) 3 organization dedicated to serving older veterans, age 65 and older. Their mission is to serve, stand by, and honor aging veterans anywhere they live, and at no expense to aging heroes or their families. Each wreath purchased will not only honor those laid to rest in Culpeper National Cemetery, but will also assist the older veterans Hero’s Bridge serves, as Wreaths Across America provides fundraising dollars to organizations, such as Hero’s Bridge, to assist in their missions and projects. Hero’s Bridge seeks partners for the December 15, 2018 wreath-laying event. 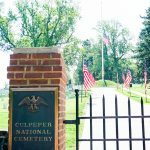 Join the mission this year and sponsor one or more wreaths to honor those buried in the Culpeper cemetery and who served our nation at great personal sacrifice. To learn more about Hero’s Bridge visit www.herosbridge.org or email them at info@herosbridge.org. For more information regarding Culpeper National Cemetery call 540-825-0027 or visit www.cem.va.gov.